Join the Leadership Institute Class of 2020! Applications open until June 2nd. From escalating inequalities, our urgent climate crisis, and growing disconnection from self, community, and nature, we know something needs to change. We believe greater levels of values aligned leadership, civic engagement, cross-sector collaborations, and strategies to grow collective power are needed. 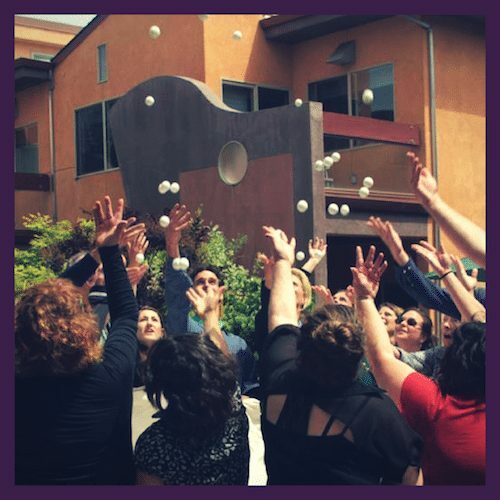 As we step up to this challenge, we are proud to invite you to join our September 2019 cohort of the Daily Acts Leadership Institute for Just and Resilient Communities. 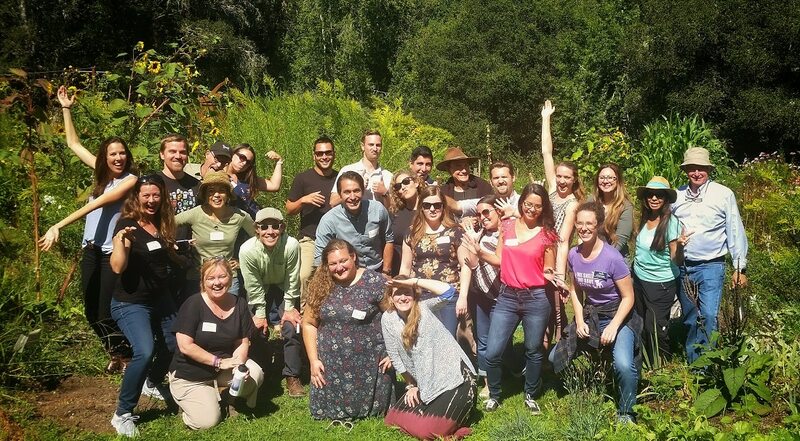 An experiential learning program that inspires, empowers, and connects leaders across Sonoma County to create equitable, thriving, and climate resilient communities. Participants in this program deepen their effectiveness as values aligned leaders, sharpen their skills in civic engagement, and meet inspiring change makers working across social, environmental, and economic sectors. 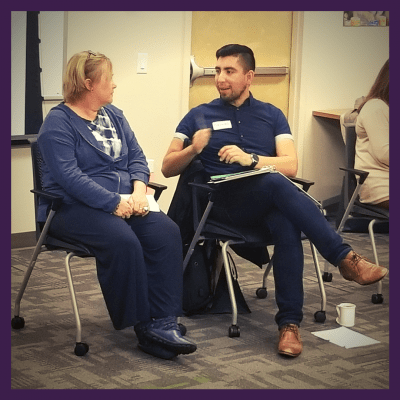 Over the course of 10 months, cohorts establish genuine relationships and a system of support with a diverse array of cross-sector leaders, graduating into a network of 500+ Fellows. Grounded in the principle that courageous leadership comes from the inside out, cohorts build skills in personal leadership, regenerative living, civic engagement and growing collective power through expert presentations, self-reflection, peer-learning, project work, and tours. Through this lens, classes meet once a month to examine the intersection of topics such as access to clean water, food and housing, addressing climate change, and creating healthy regenerative economies. Ideal candidates are driven to create positive change in their lives, community, and world, are open minded to what change looks like, and are committed to building partnerships and cross-sector collaborations. Cohorts are carefully selected to represent a diverse range of ages, ethnicities, gender identities, income levels, abilities, geographies, skill sets, sectors, and focus areas. Participants range from student to retiree and come from nonprofit, business, entrepreneurial, and public sectors. This creates a unique setting for rich group discussion as we apply systems thinking to focus our efforts and impact around the solutions that will best benefit this and future generations. Personal Leadership Development – Clarify and operate from your purpose, passions, and strengths. Regenerative Living – Live your values and embody the change you want to see in the world. Civic Engagement – Identify levers and strategies to take civic action to protect and promote public values. 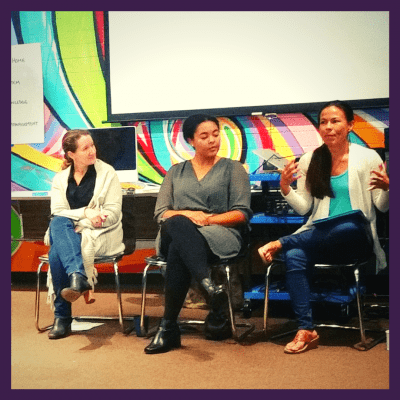 Collective Power – Gain tools to be a more effective systems leader while growing collective power through collaborative and emergent leadership models. Gain exposure to inspiring local leaders as they speak to different elements of these pillars and hold robust discussions about their work across social, environmental, and economic sectors. Establish deep relationships and a system of support with cross-sector leaders. Graduates of the program join an engaged network of change-makers, from state and local elected officials, to business entrepreneurs, nonprofit thought leaders and more. The Fellows Network, composed of more than 500 Leadership Institute graduates, gives access to seasonal networking events, ongoing education, and more. Classes meet on the first Friday of every month from 9am-5pm, September 2019 to June 2020 in different venues across the county, with the exception of January which meets the second Friday. In addition to class time, participants are asked to allocate 5-10 additional hours per month to readings, homework, and their project. Fellows have the opportunity to deepen their leadership after graduation by participating in future classes and organizing Fellows Network gatherings. A limited number of discounted tuitions are available for underserved or low-income applicants. If you submit your application on or before May 1st, 2019 and are selected to attend, you will receive a 10% discount. Tuition is based on a sliding scale to accommodate varying organizational budgets or household incomes. Applications for September 2019 are now open! Click below to download the application a word document of the application (PDF Application is also available). Review our Information Packet with details about our selection criteria, course requirements, costs, and payment plan options. If you have questions or are interested in learning more, please email Kerry Fugett at kerry@dailyacts.org. View our program flyer here. Classes are held the first Friday of the Month from September to June, with an exception for January which is held the second Friday. Given the incredible confluence of crises we face, we need more and not less leadership in this big planetary moment. So when the Leadership Institute for Ecology and the Economy approached Daily Acts with news that the Institute would close its doors, we knew we couldn’t just let this incredible organization, that for 17 years trained and grew a network of over 500 change making Fellows, go away. Several of Daily Acts Board and Staff, including our founder Trathen Heckman are Leadership Fellows and have been greatly enriched by the Institute and its Fellows Network. This is why in the fall of 2017 as the Leadership Institute officially closed its doors, its programs, resources and stewardship of the Fellows Network became a part of Daily Acts. 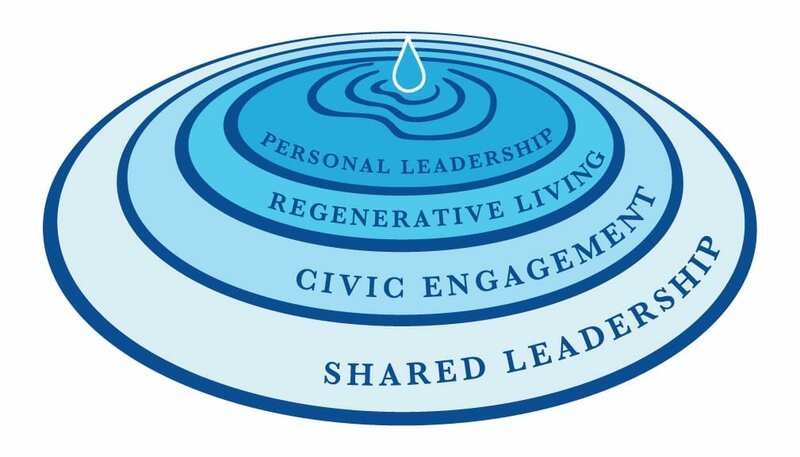 With 16 years of experience empowering and educating over 57,000 engaged people and sustainability leaders through collaborative programs, Daily Acts is excited to add the Leadership Institute and Fellows Network into our programming. Please feel free to reach out to Kerry, kerry@dailyacts.org, with questions! As an academic ecologist, I had a broad, global knowledge of ecological and environmental issues, but only a shallow understanding about local environmental problems and how these interplay with local government policies. The Leadership Institute inspired a shift in my career – to apply science directly toward preserving our natural resources, sustainable agriculture and the local economy. 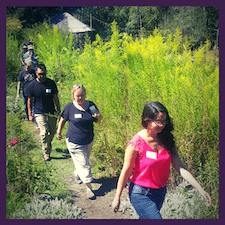 The Leadership Institute addresses the entire spectrum of environmental issues in Sonoma County, covering the details about process as well as content along with an opportunity to meet and get to know some of the most influential leaders in the community. The Institute offers invaluable training for both newcomers to the County as well as those who’ve lived here all their lives. The Leadership Institute’s classes are packed with information and food for thought. It also provides an excellent incubator for problem solving with other individuals concerned about issues critical to our future. The training actually changed my life, providing me with new insights on many issues related to sustainability, social equity, the economy and our environment. In no small measure, the training helped me to develop the confidence and the skills I need to run for city council and serve the public. The Leadership Institute gave me an incredibly unique opportunity to learn and experience the relationship between our local economy and the natural environment that added depth to both my professional and personal life. The mix of student backgrounds allowed me to question, reinforce, and fine tune my own beliefs of what is the best course for our greater community of Sonoma County. The Leadership Institute’s classes gave me the intellectual foundation for what I knew in my heart, and introduced me to a network of people with whom to discuss sustainability. I had never in my life been around a group of people with that much professional experience. I felt like I was among giants. I never saw myself as a leader until I took the training. I began to see myself differently. As an activist you lead in a populist way, dealing with emotions. This (the Leadership Training) was more purposeful, more thoughtful. I got a much better understanding of leadership. The information and understanding makes me better at my job. It was very well thought out, and I’ve recommended it to other people. I got so much out of it. I got a broader understanding of the issues. The people I have met in the class have become the backbone of my new community. We all get caught up in the details of our lives. You sometimes need an excuse to go out and explore the place where you live. What I think is exciting is seeing what other leaders in the community are doing with important issues. It inspires me, and it confirms that we’re on the right path. For me, the institute has been about support, inspiration, and commissioning. I sometimes felt alone in driving change for sustainability at work, but I felt personally inspired by the (institute) board and my classmates to make a difference. After the program, I felt an approval and commissioning to move away from lip service into action. The Leadership Institute program is a unique and exceptional way to learn the tenants of responsible business and how to effect change through public policy. This program will forever affect your vision of how you can contribute to society – no matter what you do. Through the Leadership Institute I was able to see how the important issues of our time such as energy, water, health, agriculture, land use, transportation, and the economy are woven together in Sonoma County. And it was awesome to meet the local leaders creating community solutions for a more healthy, just, and ecologically vibrant world. The program was simply amazing. 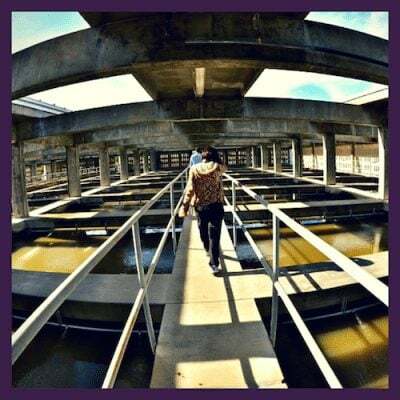 Moving from New York City a few days before the class began, I had no previous knowledge of sustainability issues. Through fascinating lectures, panel discussions, site tours, and networking with classmates, over the course of the year I developed a strong foundation that I will utilize for the rest of my life. Being very experienced in public policy squabbles in Los Angeles and San Francisco, but relatively new to Sonoma County, I found that the program offered precisely what I was hoping for – a well balanced introduction to many of the organizations, individuals, and issues in Sonoma County that matter. The program is designed in such a way that both veterans and newcomers to public policy will not be bored or mystified, respectively. This (program) is for any individual that feels a passion for creating a better place in this world. You are provided with tools to help you focus and hone your enthusiasm and then asked to use that focus to effect change. There is nothing more valuable than being given the tools and encouragement to follow your dreams. The Institute helped me to think about public policy in different ways—to connect issues together in a more holistic approach and to learn more progressive and satisfying ways to solve policy challenges such as affordable housing, transportation and community development.